Are you quicker with your multiplication tables than you are running down an athletics track? Can you synthesize complex molecules but have difficulty opening a bottle of jam? Do you have no problem understanding quantum physics, but fail to understand the importance of crossing the goal line in football? Well then today is your day – it’s Embrace your Geekness Day. And if this special day is not already enough reason to look down your nose at the lesser brains around you, whip out a Rubik’s Cube and dazzle them with your mental dexterity, because 13 July is also International Puzzle Day! Rubik’s cube – super-puzzle, brilliant design, and one of the lasting symbols of the Eighties. It’s the 68th birthday for Erno Rubik, Hungarian sculptor, architect and puzzle inventor, who came up with the biggest selling geeky toy in history, the Rubik’s Cube. This amazing handheld puzzle sold in excess of 100 million units in the first two years after it’s 1980 release, and has to date racked up total sales of over half a billion. 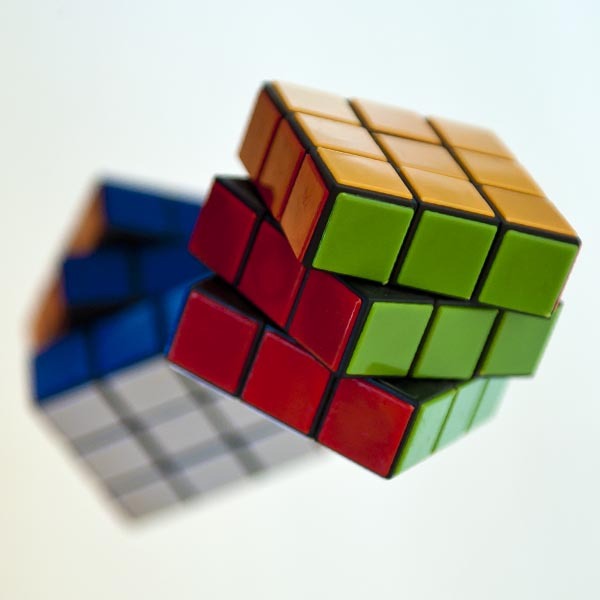 I guess many of you weren’t around in 1980 when the Rubik’s cube first appeared, but it really was the bees knees – cube-solving competitions were held, super-fast cube solvers were featured on TV, books were published with different solutions to the puzzle. Even just knowing the number of permutations that can be reached by rotating the sides of the cube (ahem, not factoring in the orientation of the centre blocks, that’s about 43 quintillion, or 43 252 003 274 489 856 000, to be exact) made you look clever. It became a brief flash of glory for geeks the world over, who could suddenly appear cool by solving the puzzle faster than any of the jocks. OK, so they ended up getting roughed up even worse than usual by said jocks, in an attempt to restore the status quo, but the moment sure was sweet. Of course you don’t have to be a rocket scientist or puzzle master to celebrate this day – mastering your smart phone is already quite an act of geeky puzzle-solving, and definitely qualifies you for a pat on the back.